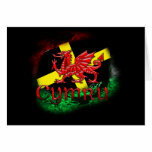 St David's Day is celebrated all over Wales, on March 1st, every year. But in its capital city of Cardiff, the festivities are naturally so much bigger. I'd never made it down there for the grand parades and street parties until 2012. I'm glad that I made the effort though. The atmosphere was electric; and the people were friendly and welcoming. Any visitors to their city were going to be made to feel like one of the family. I would certainly go again. In ancient Celtic lore, greeting strangers with food and drink was written into the code of hospitality. It still happens. "Diolch yn fawr." I took my hot chocolate with coconut with gleeful anticipation. Cardiff has many charms, but after a long, arduous car journey, caffeine is the first of them. I'd only taken a few steps away from the vendor, when a woman darted after me. "Excuse me!" At least I think that's what she said. I'm partially deaf, so it was mainly seeing the movement and then her lips moving. Anxiety piqued. Had I not paid the right amount? The lady pressed a Welsh cake, wrapped in a paper bag, into my hand. Her face was all grins. "Happy St David's Day!" I was to encounter this wonderful Celtic hospitality throughout the day. By the evening, the kindness of strangers was to turn a dire situation into something more bearable. 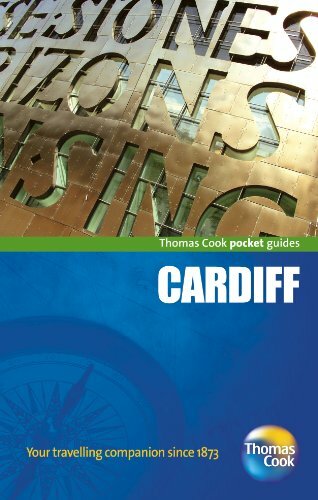 Make sure that you don't miss a thing, when you visit the Welsh capital city! 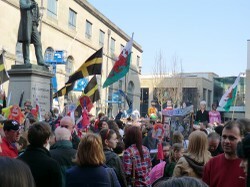 Even if there was no parade or other events, Cardiff on March 1st is a wonderful place to be. All of Wales is partying on March 1st, but Cardiff takes that to a whole new level. This is St David's Day, when everyone celebrates what it is to be Welsh. I took my hot chocolate and Welsh Cake, then joined the crowds lining the streets outside the castle. There was an amazing atmosphere and plenty to see before the parade even began. Street vendors sold flags, novelty hats and banners. Judging by the array already in evidence, I think most people had brought their own. 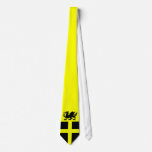 Even the most unobtrusive individuals wore a daffodil or leek pinned to their lapels. I nestled between a woman in a daffodil hat and a group of young people in rugby shirts. Just along the kerb-line, a toddler in a pushchair was wearing Welsh plaid. 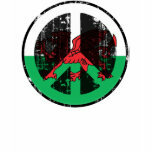 His mother waved Y Ddraig Goch for all she was worth. The older couple behind me were visiting from London. They had no idea that any of this would be happening. They looked delighted, as the Welsh around them took turns to tell them all about it. A woman walking by in full traditional Welsh costume drew cheers. 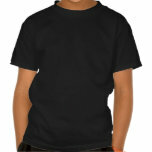 A small girl, wearing the same in miniature, reacted coyly to the 'awwwss'. She gripped her mother's hand and occasionally ventured a wave. The BBC were up there, somewhere, filming and this was just the crowd. When the traffic was halted, the buzz of excitement grew. Necks were craned and all eyes were fixed in the direction of the River Taff. A lady behind me beamed, "I can hear the pipers." Then we could all see the huge St David's Cross flags, flapping like a ship in full sail, coming over the crest of the hill. 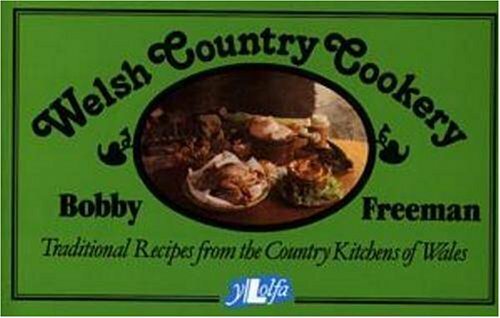 Whether for yourself or somebody else, these treats will declare that you're Welsh and proud. I filmed the whole parade from near Cardiff Castle. Apologies for the sound quality at the beginning. It gets better. St David's Day is a time for camaraderie. 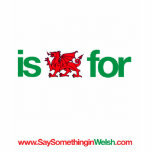 Wear a t-shirt to declare your affinity with Wales. Singing, dancing, feasting and making friends. It was as Celtic a celebration as you could get! The video that I filmed doesn't really capture the sheer camaraderie of the day, which didn't end with the parade. After the last people had passed, I joined the end of it! I wasn't alone in that. I think that half of those watching did the same. We meandered around, through the pedestrian areas, and into the Hayes. In this central plaza, local dignitaries took the band-stand and welcomed the huge crowd. On a big screen above were the words to the Welsh national anthem, Mae Hen Wlad Fy Nhadau. This is always sung in Cymraeg, hence the tourists were instantly apparent. They were the ones looking faintly embarrassed, while also milking the fact of being in the midst of the Welsh in fine voice. After all, Wales is famously the land of song. 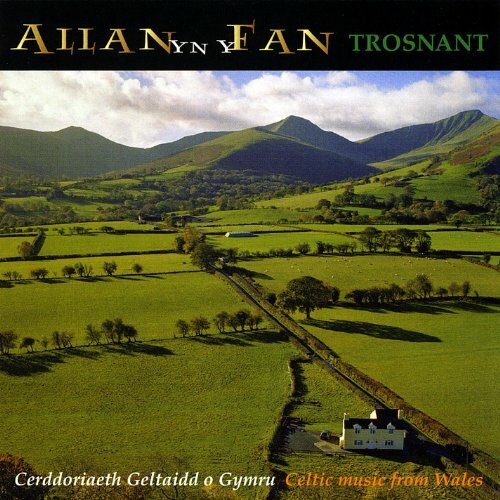 Next on the podium was a Welsh band, Allan yn y Fan, whom I'd never heard before. I will certainly be hearing from them again! The crowd was free to disperse now, but most stayed put. We were all enjoying this too much. This was also a moment to mingle with some of the prominent figures from the parade. People were lining up to have their photographs taken with St David, Mari Llwyd or some of the ladies in traditional dress. For those who did wander away, it wasn't to go far. There were market stalls surrounding the area, filled with Welsh produce, arts and crafts. Welsh cakes were served hot from the griddle, while west coast wine and mead could be bought by the glass. No-one seemed in any hurry to go home! 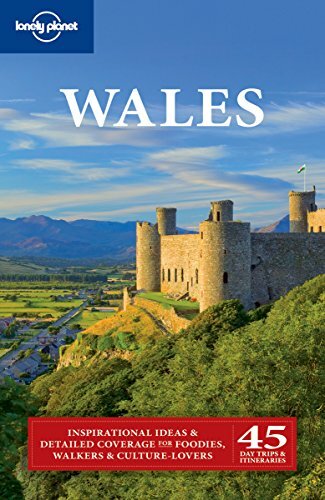 Treat Yourself to a Taste of Wales! 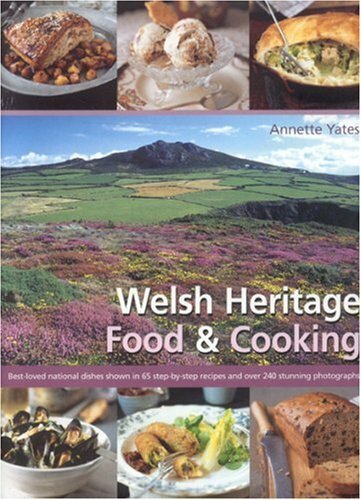 Buy a Welsh cookbook, so you can bake your own cakes and pretend that you are in Cardiff too! Having heard this band play live, before a delighted Cardiff crowd, I can thoroughly recommend them! A Good Old Celtic Knees Up! 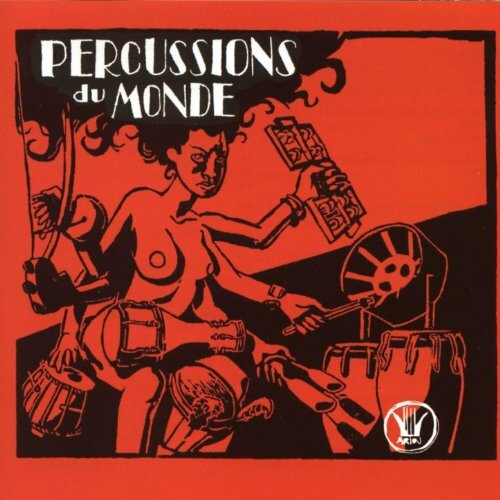 What happens when a group of Breton musicians start playing in a Welsh street? Let me tell you. I had been hearing the bagpipes a couple of streets away, then fortunately found the source. Bagad Kadoudal had traveled across the channel to join in the parade. Now they were about to give an impromptu performance. A crowd had been drawn into the little park by the church, where we watched them warm up. Visitors to the city, in a variety of accents, openly asked questions. Just as openly, the watching Welsh answered them. It felt special to be there. The Breton players were finally ready, bagpipers, pipers and drummers fell into formation. 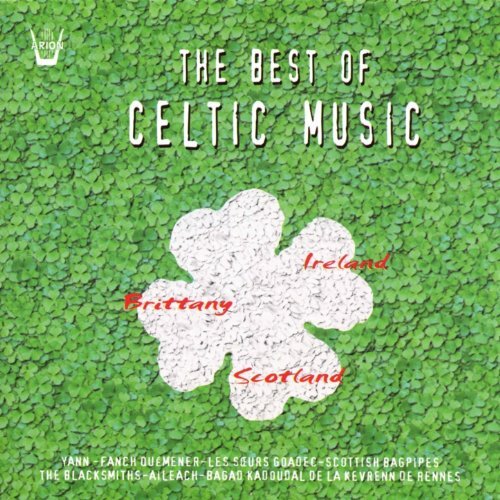 In typical Celtic fashion, as soon as we heard the music, we followed. They only took us around the corner, then congregated around the Owain Glyndŵr pub to lead with a series of reels. I couldn't help my feet moving. Neither could a Welsh lady across the circle. Without any prior planning, we were dancing together with the musicians nodding in smiling encouragement. It wasn't long before we were teaching tourists how to move their feet in the Celtic style. More and more people joined in, including Breton men and women, who'd arrived with the band. I didn't know that there was a difference between Welsh and Breton traditional dancing. The styles are obviously related, but in Brittany it's a little more understated. We ended up with a fusion of the two. Those not dancing helped keep the time with clapping and stamping their feet. It was quite a crowd that gathered there! I was struck by the gathering of the Celtic tribes here too. Welsh and Breton danced together, before a public house dedicated to the greatest of Welsh heroes, on St David's Day too. But two doors away was the Cornish pasty shop; and beyond that O'Neill's Irish bar. All that was missing were the Basque, Manx and Scots. The latter turned up towards the end - two men in Highland plaid, talking in broad Glaswegian accents - cheering as they saw what must have looked like a spontaneous céilidh. 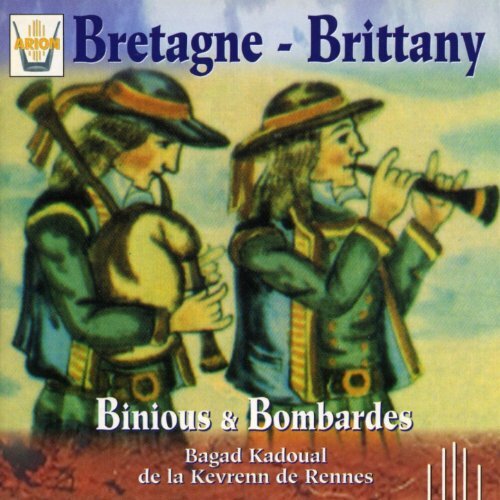 Buy these albums to hear Celtic music from Brittany as played by Bagad Kadoudal. My own festivities ended after I'd retired hot and breathless from the dancing to nip to the bathroom. A message from home informed me that there had been a family bereavement. It wasn't entirely unexpected, but it was still a shock. I found a quiet bench, away from the party, but became quite upset. Within a minute, a passing Welsh lady had stopped to see if I was alright. Shortly afterwards, a Welsh man did too. They commiserated with my news and encouraged me to go and get a cup of tea. They just wished they could do more. I went into the Owain Glyndŵr pub and yes, they did tea. The landlord saw the state of me and asked what was up. "Just had some bad news, that's all," I tearfully told him, feeling exposed and ridiculous. "No charge." He replied, setting the cuppa in front of me. "Look after yourself, cariad." And that, right there, is my experience of the Cardiff people. Kind, compassionate and generous Celts, who will take care of anyone who visits their city. If you're driving, then the easiest way to get to Cardiff is to start in London. This isn't accidental. I began my journey 115 miles north of the Welsh capital. Even using three English motorways, it took me over two hours. Three different stretches of long roadworks and thick fog saw to that. 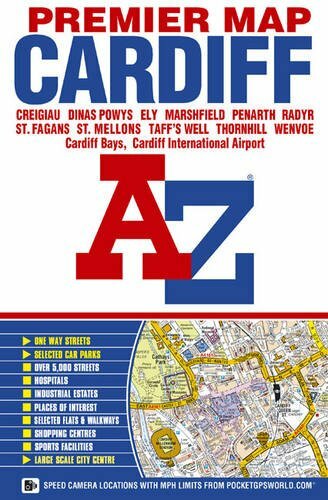 Cardiff has an airport, as well as major train and bus stations. For drivers, the city is well sign-posted from the M4 motorway. I recommend leaving your car in a park and ride area (£3 a day, when I went), then taking a free bus into the city. The last one returns at 8.30pm. 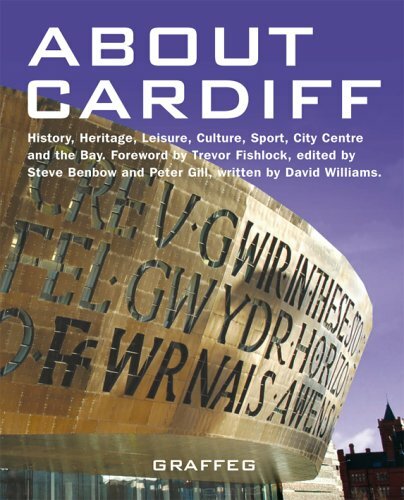 Did you go to Cardiff on March 1st 2012? Yes! And it was great! No, but I intend to go in the future! No, and I have no intention of ever visiting for this. I was too busy celebrating St David's Day elsewhere. I really did not capture this well on video. The mike didn't pick up all of the people belting it out, as I heard it. You can't even tell that I'm singing it! 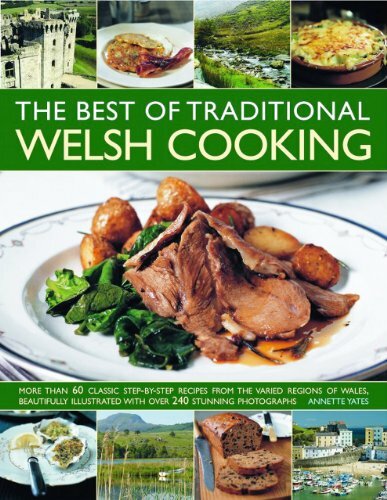 Feeling a little Welsh today? Check out these ideas for outfits which invoke the national pride of Wales. The story behind 'Land of my Fathers' ('Mae Hen Wlad fy Nhadau') is one of poetry, bardic awen and the refusal to lay down and play dead. Grab a daffodil or a leek and boil up some cawl! March 1st is St David's Day and all of Wales will be partying. Your version is so much better than mine! Do you mind if I include it? Yes, there is something that you can do. You can fly to Britain, so I can finally take you around Cymru. We'll share a Welsh cake or three on the banks of the Taff. So sorry for your loss, cariad, say the word if there's anything I can do. We'd love to go if my son wasn't at school. I have some Welsh blood and my partner grew up just outside Cardiff so we have a connection. Sorry to hear about your bereavement.